Goji Overview and The Tibetan-Himalayan Myth! 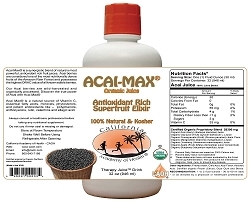 Goji berry product overview from California Academy of Health® CAOH® – discussing organic Goji Juice (Goji Fusion® and Absolute Goji®), Goji Berries and Goji Berry Powder. Also discussed is the Tibetan Goji and Himalayan Goji myth! 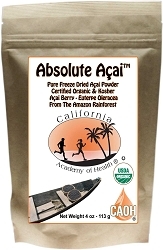 California Academy of Health proudly offers four extremely high quality açai products, our Goji Fusion™ juice and Absolute Goji Juice™, Absolute Goji Powder™ and our sun dried Goji Berries. All of these products are 100% certified organic and ethically harvested. In fact they are independently verified organic. 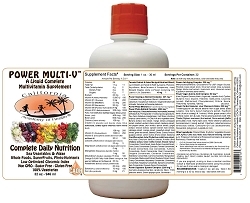 We even have goji juice in our Mangosteen Elixir™ and our Liquid Power Multi-V™. California Academy of Health, Inc.